At A to Z Eye Care we are always looking to the latest and greatest technology breakthroughs to provide our patients with the most advanced care, but we don’t stop there. Have you heard of Google Glass? An eyewear accessory unlike any other, it’s a wearable computer mounted on a headset worn just like a pair of glasses. In fact, you can now attach Google Glass to a set of frames, and with our help, your lens prescription! 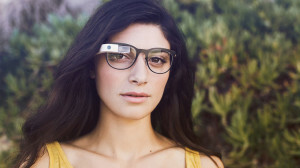 What Can I do with Google Glass? Google Glass is connected to your mobile device and acts as a secondary screen, so think of what you might do on your mobile device: check your email, find out what the weather is like outside or see who’s calling you… without touching a thing. Those, of course, are just the basics. While you’re walking down the street, you can get turn-by-turn directions, street name and all. You can snap photos or record video and capture exactly what you see in a whole new way. Enjoy the kitchen? Why not get recipe instructions, one step at a time, without ever having to worry about getting the ingredients all over your cookbook or phone screen. Right now Google Glass is not available for purchase except to those participating in “Glass Explorers.” We’re excited to share that A to Z Eye Care is a preferred provider and we have a special link for you to get more information about becoming an “Explorer.” Our very own Dr. Linda is an “Explorer” and has used hers for the last few weeks now! If you want to know more about Google Glass, we would be happy to answer any questions and give you more information on becoming a Glass Explorer!